At CSIR-SERC, numerical- and experimental- methodologies are being developed for health assessment of critical infrastructures using guided wave propagation technique. Wave phenomena being used to detect/localize the crack will become valuable tool for health assessment of wide variety of structures. 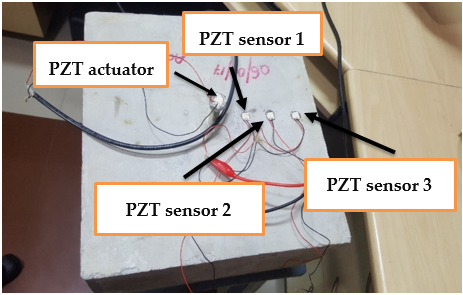 Guided waves induced by piezoelectric transducers are used for damage detection of structural components made of different materials, sizes and shapes. Numerical simulation studies are also being carried out to verify and improve the signal processing and testing methodology. Studies are being carried out to obtain important information on dispersion, mode conversion, and wave scattering from different structural elements and boundaries. These studies allow to optimise excitation signal parameters and sensor placement.